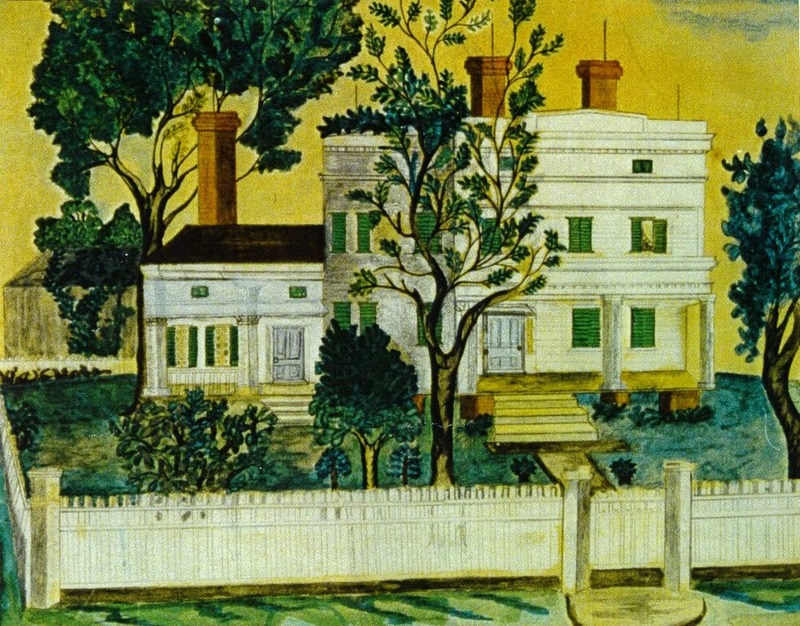 Hallowed Grounds & History: Hester Bush Mead: An Uncommon Artist? The southeastern section of Greenwich's Union Cemetery was set aside for the burial of free blacks or African-Americans. Robert W. Mead deeded the land for the use forever as a burying ground, "The Southern part of Said Lot twenty three is to be Set apart by said Committee for the interment of people of color, and such portion as Said Committee may deem advisable to Sell in burial lots to people of color at a rate not exceeding one cent the Square foot. Lots numbers twelve and thirteen are to be reserved for free ground if required." One of the worn marble gravestones marks the final resting place of Hester Bush Mead, the daughter of Candice Bush. Hester's name does not appear in the roster of famous persons in Greenwich history, nor is she listed in Spencer P. Mead's family genealogy book. Hester is the direct descendant of slaves who were emancipated and made free when Connecticut, with her sister New England states, established for all time the abolition of slavery in the late eighteenth century. Candice Bush, her mother, was a servant in the David Bush household. Mr. Bush, no relation to President Bush or his family, owned what we preserve today as Bush-Holley House, headquarters of the Historical Society of the Town of Greenwich. Candice's name appears in David Bush's estate in 1797, and Hester was born there the following year. We believe Hester married a freed black man who was emancipated from the Mead's in Greenwich. Our primary interest in Hester centers on a mysterious but beautiful watercolor of one of the family ancestral houses. A relative in Massachusetts, who owns the painting, said that this fine example of early American folk art on woven paper was created by a black woman who was employed by the Jabez Mead family and dates from 1840-1860. 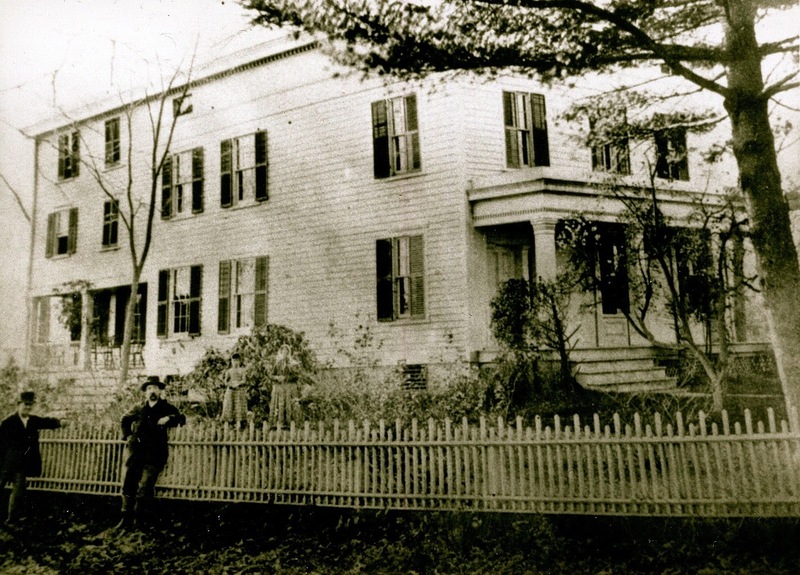 The Jabez Mead House, circa 1840, stood at the corner of East Putnam Avenue and Indian Field Road. The farm encompassed all of Milbrook and the lands up to the base of Put's Hill. The house was demolished when East Putnam Avenue was widened in the 1950's. Could Hester Mead be the mystery artist? It's very possible. We may never know since the work is unsigned, and no written documentation to confirm this has been uncovered. Hester died on March 2, 1864. Her will in the Greenwich Probate Court leaves her few belongings to her granddaughters Martha and Julia and ordered "good Tomb stones to be put up for herself and her mother." The austere appearance of her marker may be deceiving if it is true that Hester was the mystery artist of the old homestead built long ago. I, Hester Mead of the Town of Greenwich, County of Fairfield and State of Connecticut do now make this my last Will & Testament. I direct my Executor hereafter named to Collect all my Just dues and pay all my just debts- to cause to be erected a good tomb stone over the grave of my Mother and also one for myself. I give and bequeath to my granddaughter Martha Mead all my wearing apparrel and bedding and I direct my Executor to deliver them to her at such time or times as he may think best. I give and bequeath the residue of my Estate after paying my funeral expenses and the cost of the Tomb Stones above named to my two granddaughters Martha Mead & Julia Mead, to them their heirs & assigns forever to be divided between them in the ratio of 2/3 for Martha and 1/3 for Julia and to be paid to them when they shall respectively become of Lawful age. If either of them Shall die before receiving her share then the whole amount Shall be given to the other. I now constitute and appoint Philander Button Executor of this my Last Will & Testament. In witnefs whereof I have hereunto Set my hand and seal this 1st day of March AD 1864. I hereby Certify that the N.S. Internal revenue Stamp to the amount of 50 ct was affixed to the foregoing instrument & was duly cancelled.